Owning a Kiddie Academy franchise allows you to achieve your financial and personal career goals. Own a business that doesn't own you! 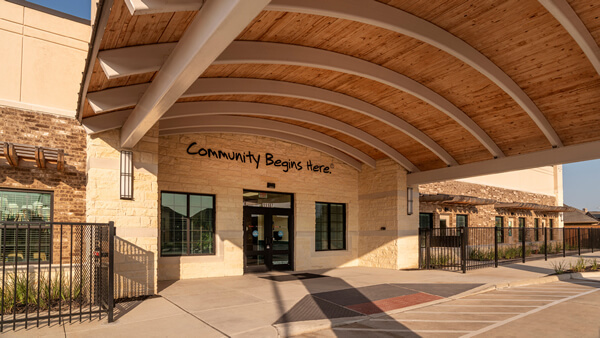 A Kiddie Academy facility open at least 24 months has an average revenue of $1,519,466*. This means your financial goals could be within reach! 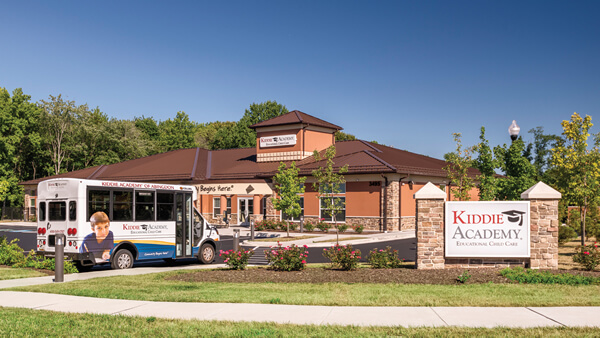 The leader in child care education, Kiddie Academy has been in business for more than 30 years and is based in Abingdon, MD. Child care is our one and only business. There are currently more than 200+ Kiddie Academy facilities located in 27 states. Approximately 60 additional academies are in various stages of development. At Kiddie Academy, we awaken the possibilities through nurturing, learning and fun. By blending these things together, we ensure that our students are constantly stimulated, constantly interested and constantly growing. Our curriculum incorporates character development and life skills, reinforced with our family style dining and creative play. 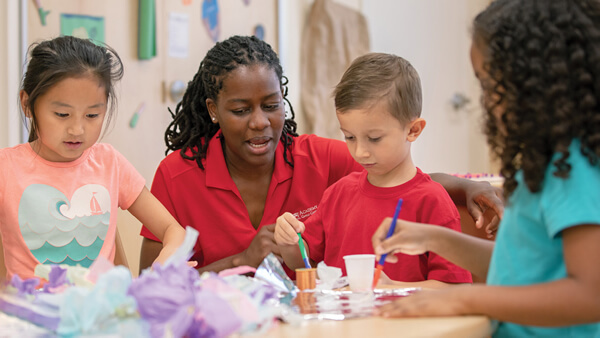 Kiddie Academy is accredited by AdvancED, an organization that accredits over 27,000 public and private schools and districts across the United States and in 69 countries. Accreditation is the result of a comprehensive review of the system's proven operating systems, proprietary curriculum, and commitment to continuous improvement. Our franchisees benefit from extensive training for you and your staff initially, as well as ongoing, refresher training programs. A Franchise Business Consultant assists from opening onward with site visits, additional trainings and sharing of best practices. 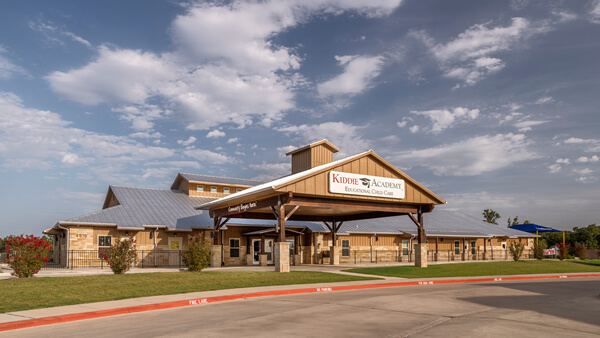 Kiddie Academy's signature building is designed to give families a Kiddie Academy branded experience while allowing you to design and construct your academy to meet your local codes and marketplace needs within your protected territory. 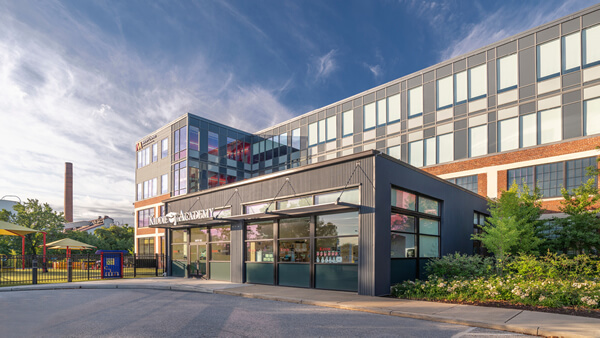 Our real estate and construction teams support your site selection and academy construction activities, whether you choose to pursue a build to suit lease, purchase option, or in-line conversion. Kiddie Academy is currently accepting inquiries from the following states: Wyoming, West Virginia, Wisconsin, Washington, Vermont, Virginia, Utah, Texas, Tennessee, South Dakota, South Carolina, Rhode Island, Pennsylvania, Oregon, Oklahoma, Ohio, New York, Nevada, New Mexico, New Jersey, New Hampshire, Nebraska, North Dakota, North Carolina, Montana, Mississippi, Missouri, Minnesota, Michigan, Maine, Maryland, Massachusetts, Louisiana, Kentucky, Kansas, Indiana, Illinois, Idaho, Iowa, Hawaii, Georgia, Florida, Delaware, Washington, D.C., Connecticut, Colorado, California, Arizona, Arkansas, Alabama, Alaska.